Acne has been the bane of my existence for over 4 years now. I know for a fact that I have posts talking about my acne story dating back to sometime in 2012 or 2013 (but please don't go hunting for those stories because the acne is not worth looking at and the pictures are the dreadful). The past 18 months has been much better though. I found a good dermatologist who seems to be able to deal with the issue and I have been pretty much acne free for 18 months barring 3 instances where it suddenly reappeared for a span of 3 weeks. My dermat in Bangalore, while good at what he does, never really told me why I am still getting acne. Apart from that it has been under control and I have been slowly but surely working on reducing the acne marks. When I was offered a consultation and a medi facial at Kosmoderma, I was quite curious to see what the doctor would say. Also, I have never had a medispa facial treatment that was focussed on dealing with specific issues approved by a doctor. It so happened that when I went Kosmoderma for a consultation, I had active acne. Dr Poornima patiently heard my history and about the changes in my current lifestyle. 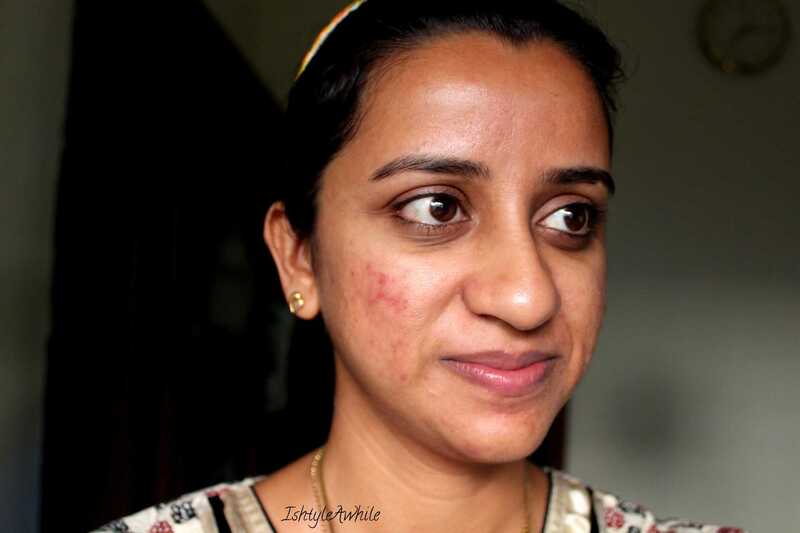 She explained to me the possible treatments that I could look at to treat the acne and the acne marks. Then she wrote down a suggested facial treatment for that day. I loved how patient she was and never once interrupted me while I was talking. She asked a few questions just to get a better understanding and then made it a point to break it down into simpler terms why she was suggesting a particular course of treatment for me. Since I had active acne, the treatment for me was modified to spot treatment the acne + add some hydration to my skin. Step 1: My skin was completely cleansed with the Purity cleanser which is made specifically for acne prone skin. Step 2: Microdermabrasion. I had gotten a series of microdermabrasion +facials done before the wedding and I can tell you that it makes your skin really smooth if done for a longer time. 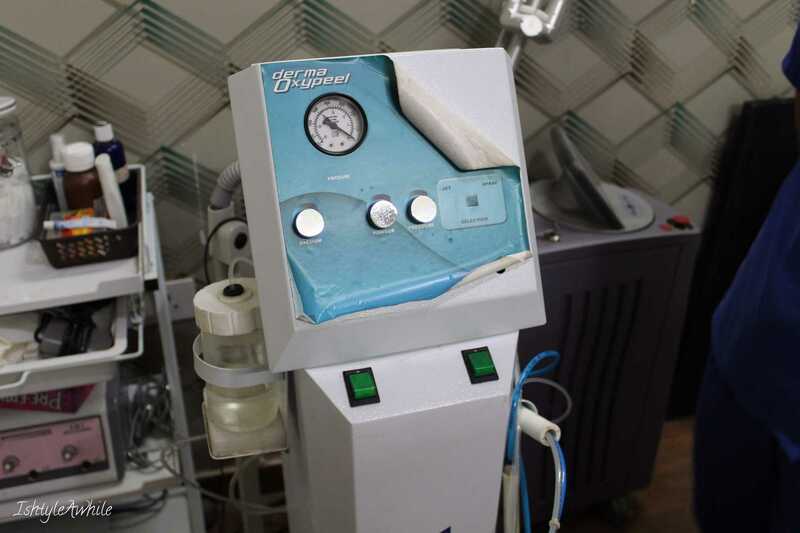 Microdermabrasion is a way to exfoliate your skin using a small head with microcrystals and a vacuum. This is great to remove dead cells on the surface. This take about 10 to 15 minutes and you will feel some tugging of the skin. Step 3: Jet peel. This was something very new to me. It is a jet spray of cold water that hits your face to hydrate it. It works to cleanse your pores and leaves your skin supple. If you are terribly afraid of water, then you might not enjoy it. It is like taking a plunge face first into cold water and it left me slightly struggling to breathe. I had a hard time relaxing and by the time I was able to relax this step was over. Of course most normal people would probably not struggle with this but I am this person who hates even washing her face, and closes her eyes really tight to prevent water from going in. I panic if the water from the shower hits me to suddenly. I am sure you can imagine how I might have struggled with this step. Step 4: Salicylic acid peel as a spot treatment for the acne. This helps to reduce the oil secretion and reduce the redness of the acne. Step 5: Purity mask for the rest of the face. This is to reduce the size of the pores, improves hydration and leaves the skin feeling super clean. Step 6: Moisturiser and sunscreen. 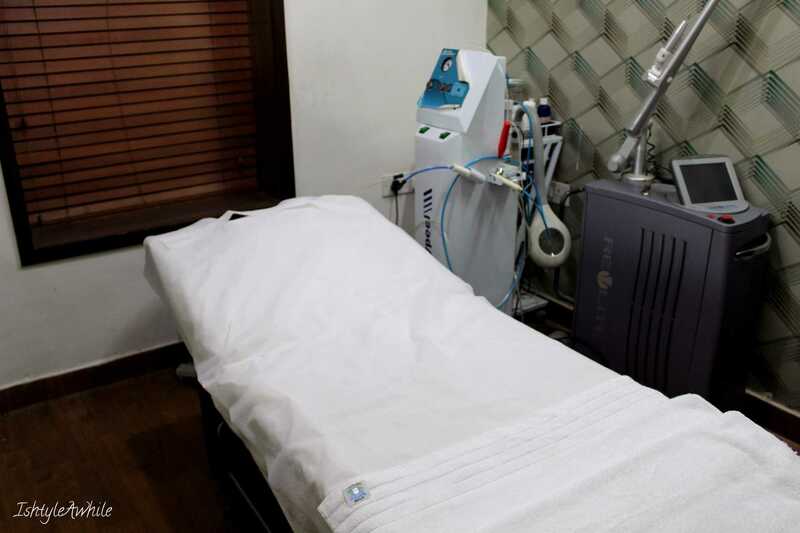 There are a number of precautions to be taken after a medispa facial including no parlour activities such a threading, no going out in direct sun, sunscreen to be applied every 4 hours, vigorous workout and no makeup for 3 days to a week. Make sure to ask the doctor about it twice. How I felt about the treatment. My skin definitely felt more hydrated and supple and I had a glow that lasted for days. My active acne dried up and eventually shrunk in size. 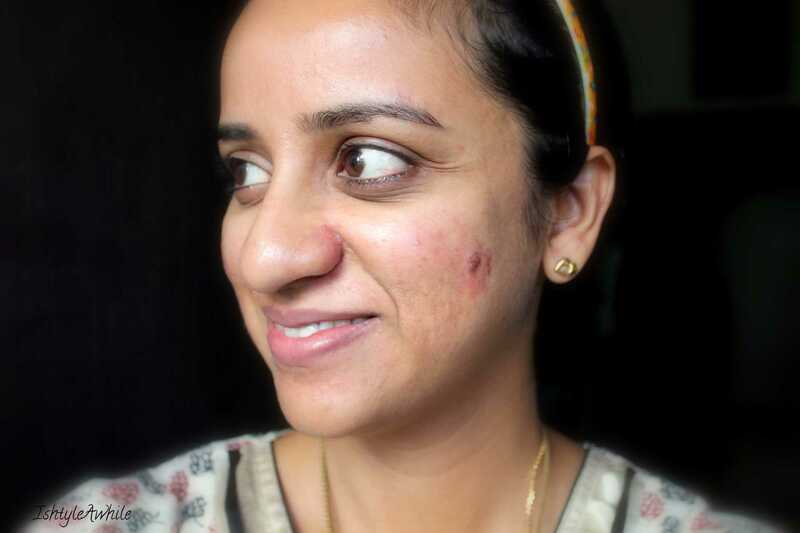 I also did develop a few smaller pimples, which is normal for me after any acne treatment. It is as if my skin just wants to get rid of the last few bits of impurities lying underneath the surface. After that, however, I have not had any new breakouts whatsoever till today i.e 2 weeks later. I quite loved how my skin felt after the treatment and have been maintaining it with the Purity facewash and Purity mask at home. I also picked up a hydroboost serum to include in my nighttime skincare routine and will be reviewing it soon. 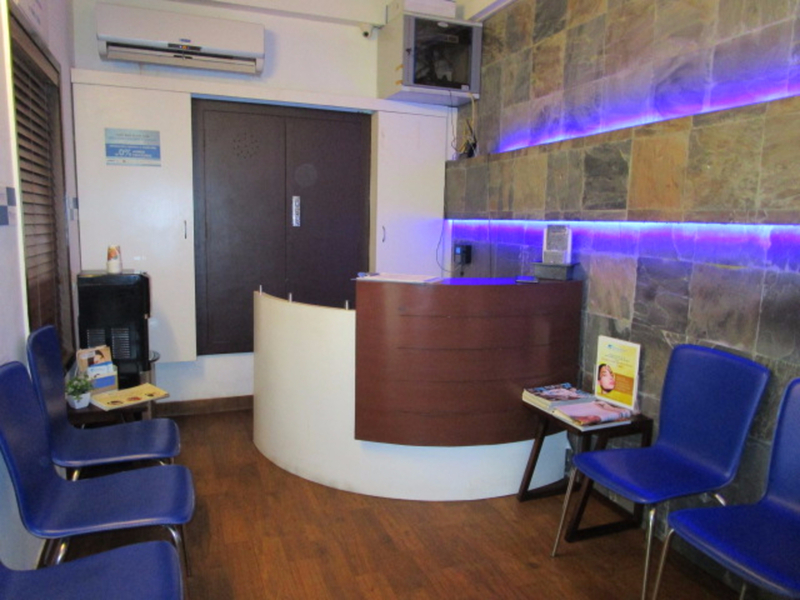 The treatment that I was given fell into the price range of 3500 to 4500INR and the price varied based upon the the procedures that are being included in the treatment. This is definitely pricier than the a regular facial but you are getting a doctor's consultation along with it. 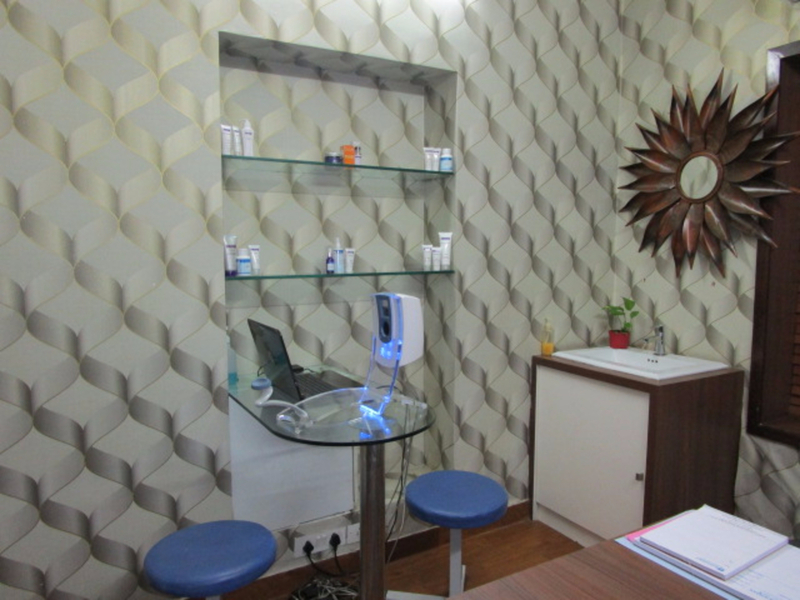 Also it is a medicated treatment, customised to your skin's needs, which makes it more effective than a regular facial. You will definitely see better results if you opt for a series of regular treatments. Overall I really enjoyed it and am wondering whether I should go for a series of treatments to reduce my acne spots which would require about 4-6 sessions more. I would also like to mention that Kosmoderma offers EMI at 0% interest which is a pretty cool option. I have not heard of any other clinic offering something like this. 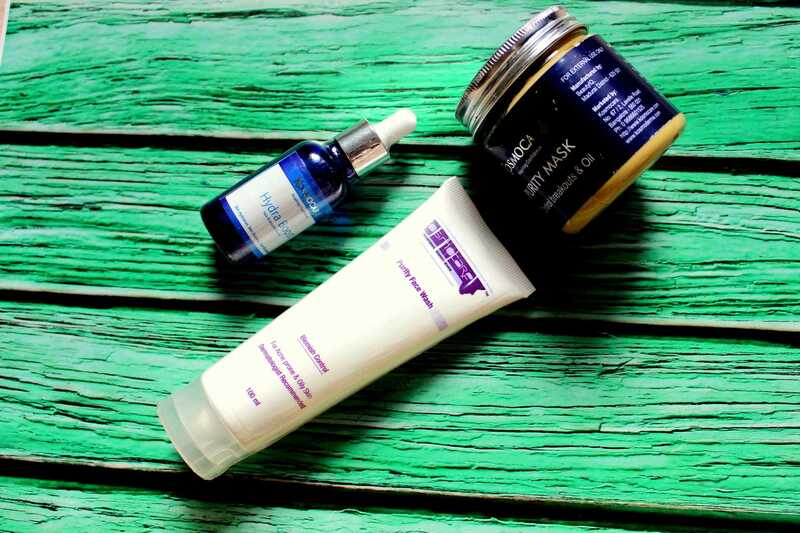 Products that I picked up to maintain my skin at home. I know that the idea of a facial at a skin clinic would make a lot of people uncomfortable because a clinic is where you to get treated if you have a problem. That isn't necessarily true. You don't have to have terrible acne or eczema to head to Kosmoderma. 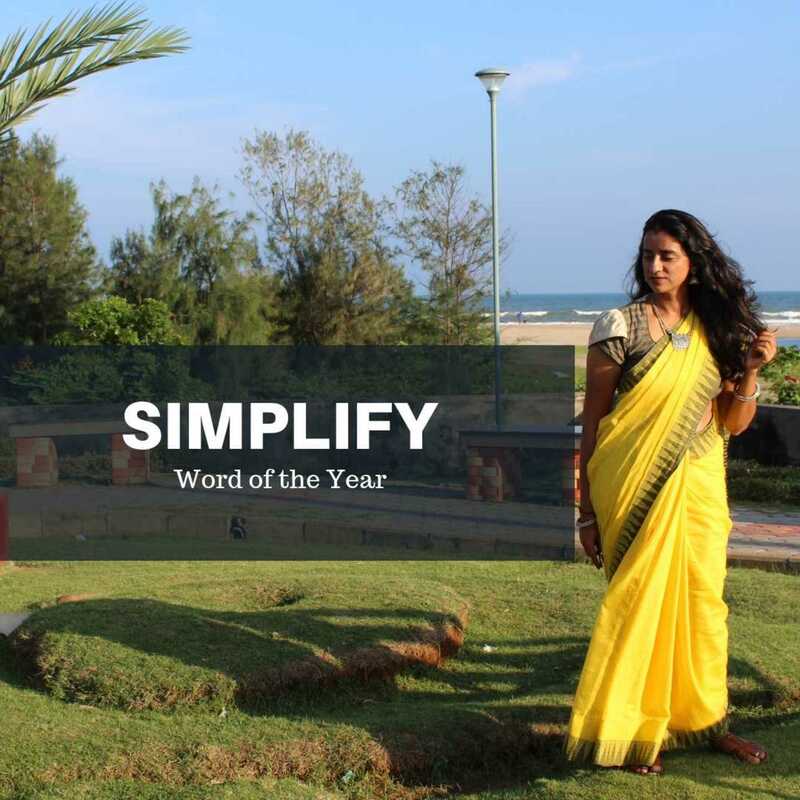 Sometimes due to all the pollution and the products we use regularly, the skin becomes dull and the texture changes. It is a great idea to head get a medispa facial done just to bring back that glow and do a deep cleanse of the pores. 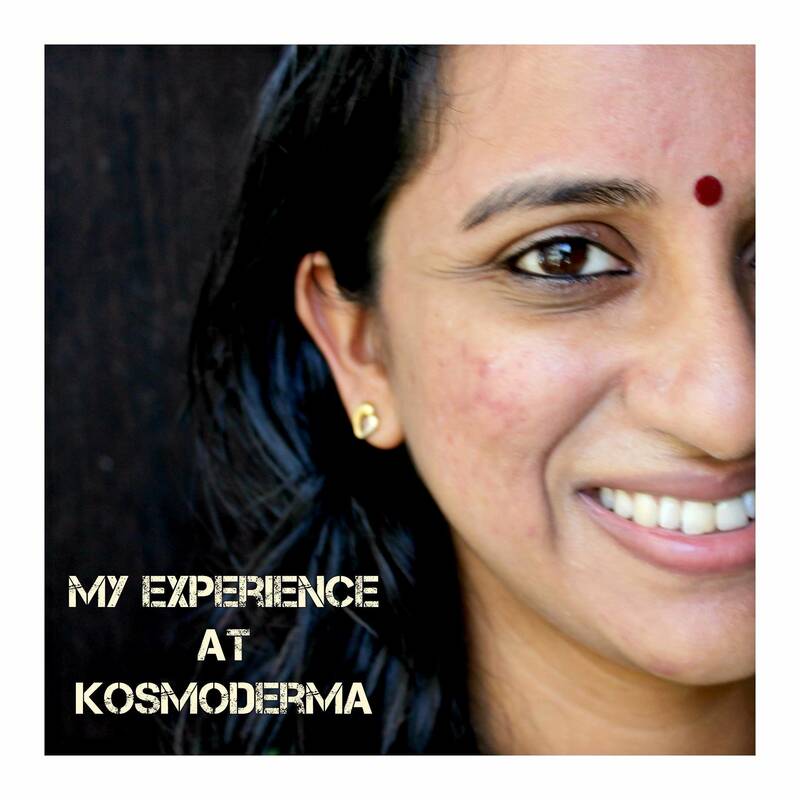 I hope this post helps you look at Kosmoderma as a place to go when you want to invest in your skin and not just a place to meet a skin doctor. Have you ever tried a medispa facial at Kosmoderma? Please ask me any more questions that you may have and I will try to clear them. *Disclaimer-The services were offered to be in exchange for my honest opinion. 3k Styling Challenge with Unlimited Stores.